This is a post that I originally wrote and published on February 20th, 2010. Music has the power to influence people’s emotions; it can make them happy, sad, or angry. 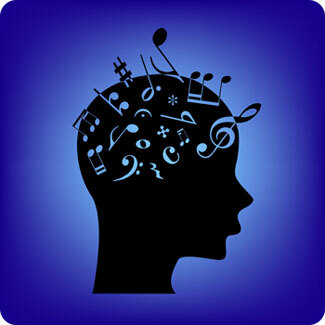 Music can also aid in the recovery of mental illnesses. The Geriatric Mental Health Department of the Chhatarati Shahuju Maharaj Medical University in India is starting a music therapy clinic to treat elderly patients with mental disorders (like dementia). Nearly 5% of elderly people older than 60 years of age suffer from dementia. S.C. Tiwari, the head of the Geriatric Mental Health Department, said that music is found to have a positive impact on patients suffering from mental tension. Slow and melodious music soothes tension; rock, pop, and fast music should be avoided because of the negative emotions it can draw out, and it also raises blood pressure. So soft, melodious, and soothing music is the way to go if you want to relieve your mental tension. Not only can music therapy help people with mental illnesses, but playing an instrument and being a part of an ensemble can help, too. Tunefoolery Concert Ensembles is a group of 50 musicians from Cambridge, Massachusetts, who are all living with a mental illness. The group helps musicians move away from the mental patient role into a new identity as a professional musician and performer. The members perform as solo acts or small ensembles; they play 75 to 90 gigs every year at mental health treatment programs, hospitals, nursing homes, and other locations. You can visit their website at www.tunefoolery.org. This entry was posted in Educational and tagged end the stigma, mental health, mental illness, music, music and mental health, music and mental illness. Bookmark the permalink.